Established almost 30 years ago in February of '92, Standard Tech is an Italian-based company that specializes in both industrial refrigeration systems and services, as well as solutions for combatting air contamination. Since its inception, Standard Tech has continually and consistently expanded its client base throughout the country and beyond. It now boasts a position as a global leader in both cold storage and air sanitation. What do the company offer? Over the years, Standard Tech has continued to innovate and expand its area of products and expertize. Prospective clients can now choose from a wide range of products that include clean rooms and cold rooms for food processing, ice bank tanks for chilled water and air sanitizing systems to name just a few. Our clean rooms operate to the highest standards and ISO certifications and consist of cutting-edge technology. 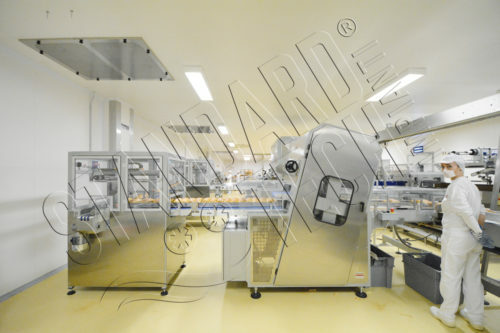 This makes them suitable for food processing: these are turnkey setups created with integrated pressure seals for atmospheric control and built from materials that are certified for contact with food. Our cold rooms are designed to bring efficiency to what is one of the most energy-intensive areas of the sector. Each of our air sanitizing and conditioning units allow employers to improve conditions for workers and fine-tune their facilities internal environment. This allows them to optimize things like food storage and processing efficacy. Each system enables adjustments to relative humidity, air velocity, filtration, overpressure and air exchange. As well as general purpose food facilities that can be customised on site, we also provide dedicated food processing facilities including salami curing chambers, cheesing ripening chambers and raw ham curing chambers. These facilities offer dedicated chambers and resources for the individual stages of each process and there are options for both large-scale and artisanal operations. Standard Tech also offers multiple systems that help to complement or complete existing manufacturing lines. 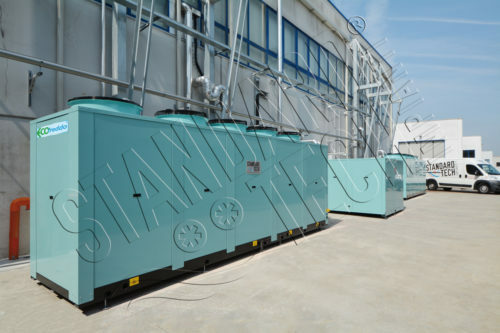 This includes the provision of spiral coolers and tunnels for cooling, freezing and quick-freezing, energy efficient chilled water storage facilities as well as stand-alone industrial refrigeration plants that can be installed virtually anywhere, including areas where overly loud machinery is a concern. Why do many clients choose Standard Tech? We believe our success is down to a number of key attributes that allow us to offer a truly complete service. First, we believe in each of our products because we know they work. This confidence comes from the fact that we have designed and manufactured each one for start to finish. This level of involvement and developmental control has also allowed us to integrate a new level of energy efficiency in the sector, enabling us to not only offer high-grade systems that benefit production but also significant saving when it comes to electricity consumption. Lastly, we firmly believe in delivering a complete service starting on the day we first speak to a client and continuing long after our systems are installed. This includes everything from onsite assembly and installation to 24/7 aftercare assistance. Our goal is to develop relationships with our clients that are mutually beneficial and last for years to come.